Richard Barradale Smith is an officer of great integrity and professionalism. We are glad that he and the activists smeared by the hunting fraternity in this most obscene way are now cleared. Respect and solidarity to all those targeted. They hunted first towards Nature in Art. Later in the village of Norton a fox ran into a garden. Hounds were rated off that fox and were then encouraged onto another fox by huntsman Gary Williams. They ran into a garden and hounds were rated back. The hounds then picked up another line and went across field of horses and into a garden. The villagers were absolutely furious and let the hunt know it! The hunt was reported to the police by locals and the pack continued up Norton Hill out of control with Gary running on foot behind them. 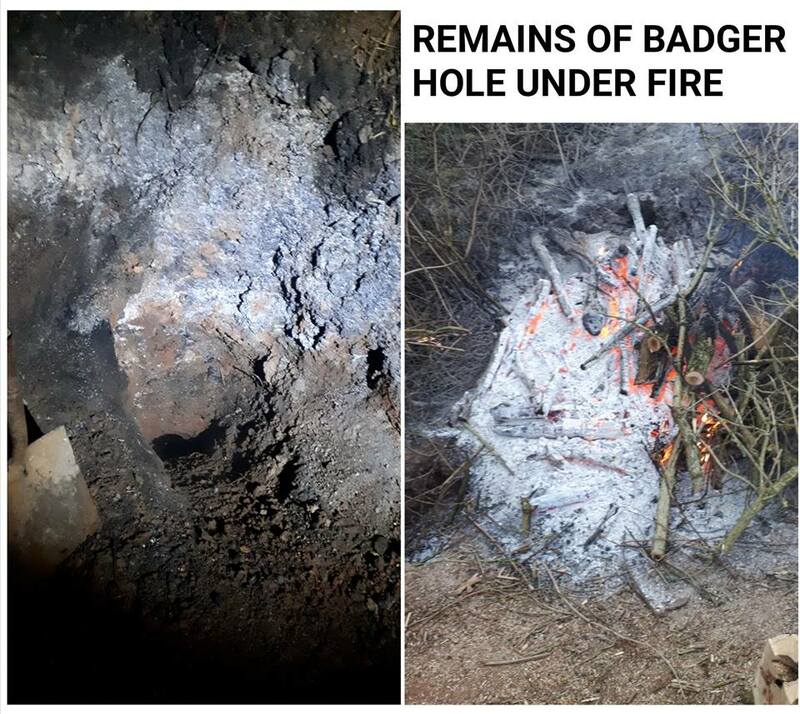 Diesel covered wood bonfire on/in holes at badger sett targeted during culls and previously dug by badger diggers. 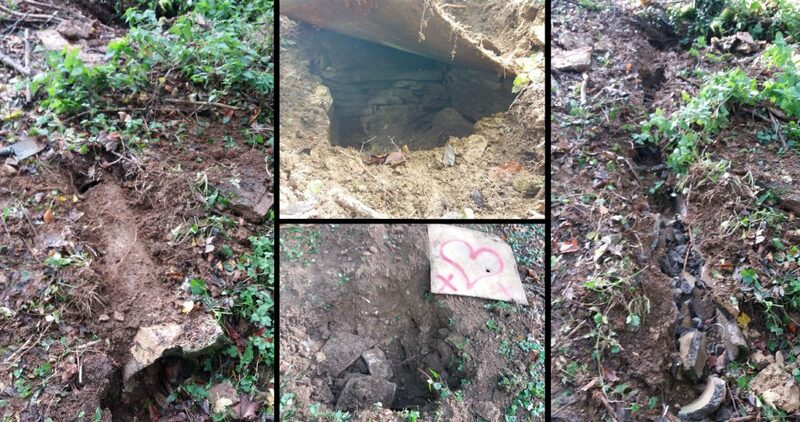 There were large holes directly under fire. Photo does not do justice to the amount of heat coming off this. Evidence collected, watered and police called. This is the same sett which was targeted by badger baiters prior to the cull beginning again one year… targeted again just a week later by cull contractors. We’re starting to wonder if the landowner is behind all these attacks! We attend call-outs like this often several times a week during the culls, the hunting season and through the spring and summer months too. It is non-stop. Please support us so we can continue to do so. 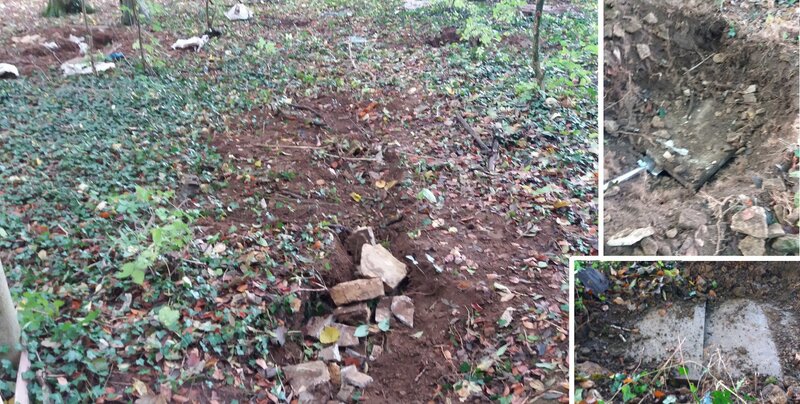 2 blocked badger setts found elsewhere and new ones found for our records which will help to protect them during the cull. They were going to draw Pinnock Cliff but after a short history lesson from master and huntsman Nigel Peel on the area (all the villagers died in the plague, every last one of them) he ran away into Guiting woods without even attempting to look for a fox. We next caught up with them late in the day at Kineton Hill farm. Hill Farm, Hasfield. 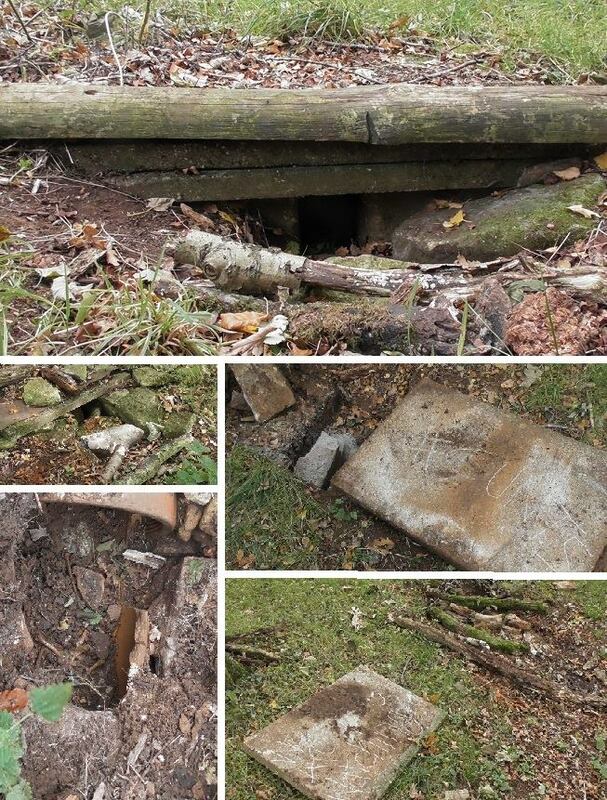 An early morning check revealed one freshly blocked sett which has been reported. Moving off after a speech from David Redvers they drew a blank first and as predicted went all over the place, Corse Grove, Haw bridge, Tirley. They hunted a fox up Corse Hill. We intervened at Yew Tree farm when a fox came runnning with hounds close behind managing to stop the pack, they left that one be. Then over to Tweenhills and up Catsbury Hill, over towards Limbury Hill, Rudford and then (just as we thought it was home time they decided to draw the duck shoot at Maismore, blank thank goodness! 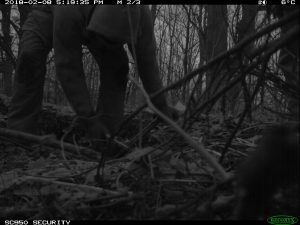 Hounds were noted on 2 badger setts, neither of which had been blocked… for a change! NB this is the West Gloucs badger cull zone. The hunt met near Miserden and we attended with our freinds from Cirencester Illegal Hunt Watch. 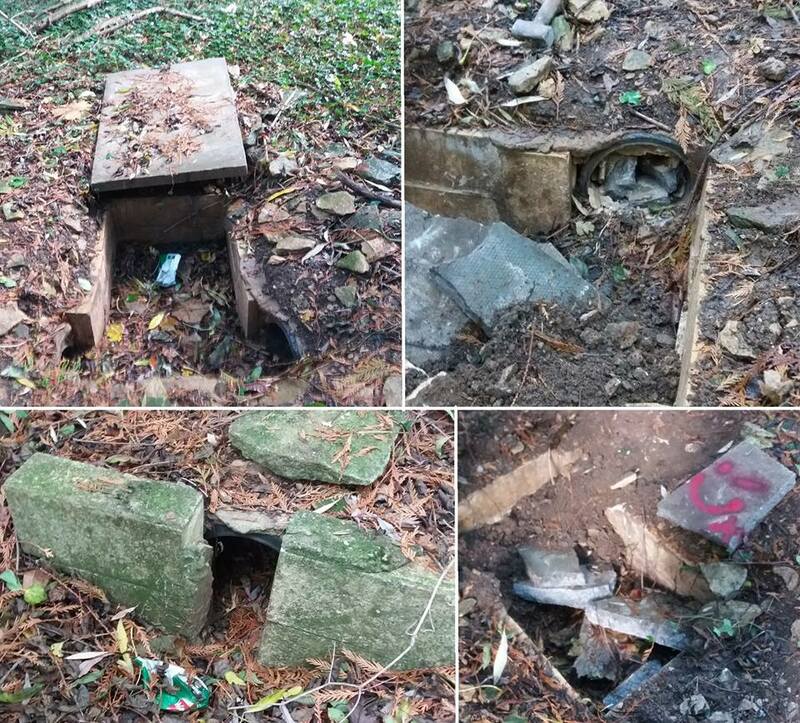 4 blocked setts found and dealt with. We stayed with them for the first part of the day where they did very little except mark a fox to ground. The hounds came over to see us and then they scarpered into a very large valley. Not many out. 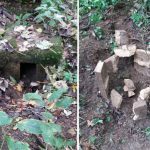 “In support of fellow anti-hunt people working hard in the badger cull zones we took it upon ourselves to take action against local hunts (and shooting areas) by sabotaging their artificial earths. 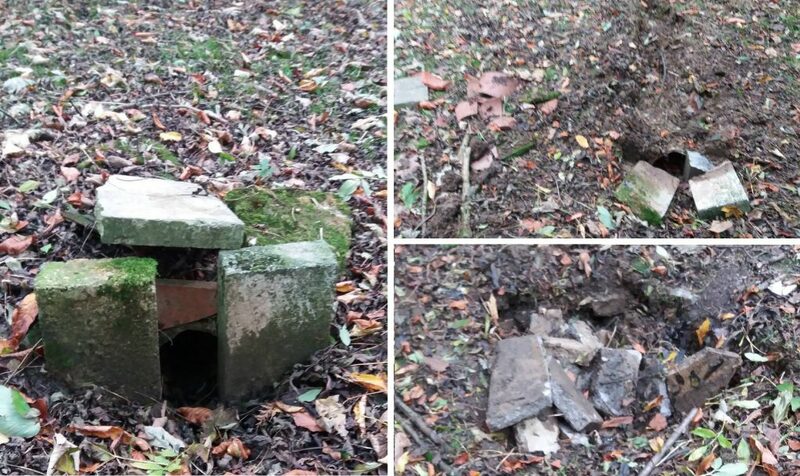 With some artificial earths not being ‘badger-proofed’ there is always the worry that they are being used to more easily target badgers for baiting and digging, during the culls and so on. Our first step, obviously, is to ensure that no one is using the artificials as a home. 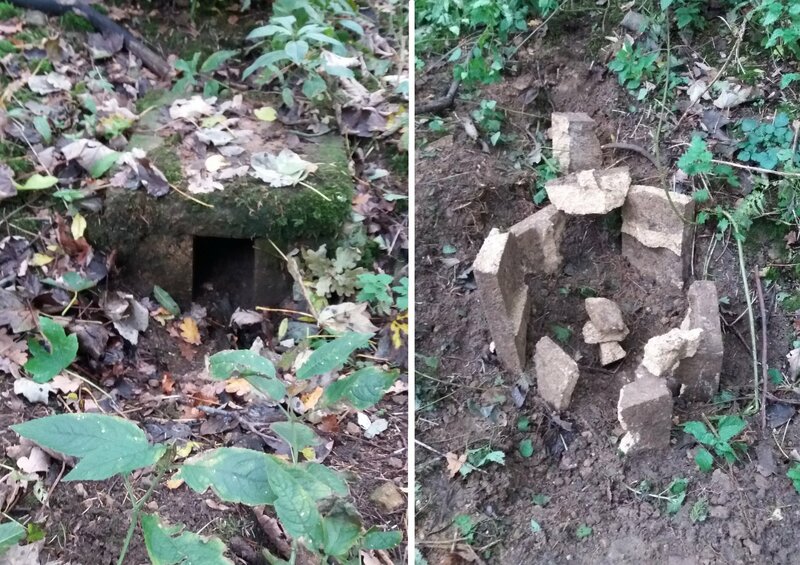 During the time that we were active in the area, we damaged or destroyed 6 artificial earths within the North Cotswold Hunt country, 5 used by the Heythrop Hunt, 4 in Ledbury Hunt country, 2 used by the Cotswold Hunt and 2 within Beaufort / VWH country. Our tactics included digging up and smashing pipes, removing / smashing bricks and slabs used to create chambers, filling the area with soil or using bricks and rocks that once made up parts of the artificials to block the pipes themselves – some of the areas have metres of backed-up bricks shoved into the pipes which would have to be dug down to and smashed in order to remove them as the entrances are fully blocked with no give in the materials used to block them. Lump hammers, shovels, crowbars, materials found in the local area… easy to conceal but very effective with a little bit of effort. We avoided the use of products such as expanding foam due to the environmental impact that they would have. We also found a number of insects, spiders, frogs and toads living within the artificial earths who we would not want to harm with our actions. 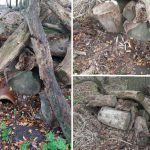 Many animals were moved to appropriate places nearby or returned to the area once our work was done – with many pro-cull and pro-hunt people constantly talking about hedgehogs needing more protection (and yet doing very little to support them) we created hedgehog-friendly log-piles on many of the ex-artificial earths. To finish, we will briefly explain our reasons for doing these actions. 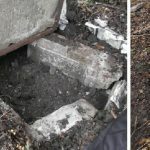 Despite the fantastic, almost everyday work done by local sab groups (who we have informed of our actions partially so that they can get the word out there about them but mostly so that they know what has changed in the local hunt countries) they will never be able to keep on top of constant checks on artificial earths to ensure they are not in use / not being dug into, even when hunts are meeting close by (never mind days when hunt staff may go to them to capture foxes for release in front of hounds or for disgusting practices like those filmed at the South Herefordshire hunt kennels last spring). Various ex-hunt supporters / staff who have turned anti-hunt have said over the years that artificials should just be smashed – they’ve been filmed on numerous occasions but carry on being used. Unless there is a case being built against a specific hunt and use of an artificial will be another nail in the coffin for them or if there’s nothing you can do to remove the artificial, get rid of them. Yes, they will build new ones, but many hunts and hunt supporters will be out doing so during and outside of the hunting season anyway. We chose this time to take action 1) because we are in a different area to where we live and are not known as ‘antis’ and 2) with the opening meets coming up soon (start of November) most fox cubs have grown and artificial earths are not currently being used as homes for them, only as places where foxes will try to escape during hunts (and will then be easily flushed / dug out and killed). It is also a busier time for hunts and their supporters as they are preparing for the full season and will have less time on their hands. Any newly-built artificials will smell of humans for longer too, meaning foxes are less likely to use them straight away. Finally, a message to the hunters. We are watching and we are educating others. In this case, it was because many of you support the badger cull in the area that you have ended up losing artificials to us due to more ‘antis’ being in the area and more areas being checked as part of the anti-cull campaign. More of us will continue to take action like this in areas where wildlife persecution is increasing. But none of you are immune. 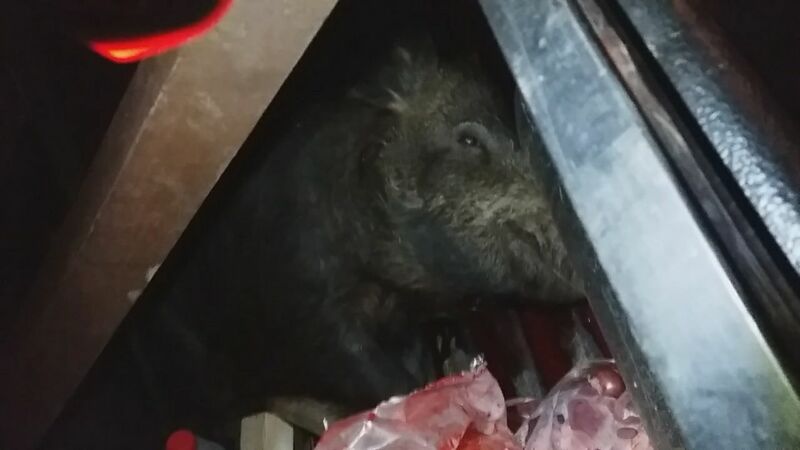 Even during a night out, our supporters manage to rattle animal abusers – these boar killers for example who quickly dragged the body away after a young girl inspected their vehicle, blood dripping out of the back of the pickup all over the road. She insists she’ll be keeping a close eye on these guys from now on. Animal abusers remember this: we are everywhere. Bird watchers, ramblers, dog walkers, your neighbour or trusted local hunt “supporter”. 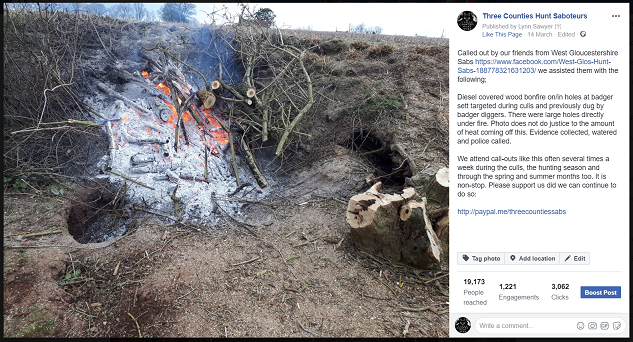 Support us if you can – share our posts, donate if you’re able and / or sabotage and report wildlife crime when and where you can. Pound Farm, Hawkesbury. A very busy day with our friends Cirencester Illegal Hunt Watch. Horrible wet cold day but we managed to help some of those being hunted. On the video the Beaufort terrier brigade can be seen and heard holloaing south of the meet. Holloas are to encourage hounds onto the line of a fox and should have no place in trail hunts or flushing to birds of prey or guns. 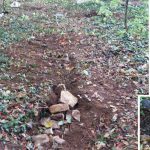 Later a fox was seen in the undergrowth of another covert as sabs walked in on the footpath. 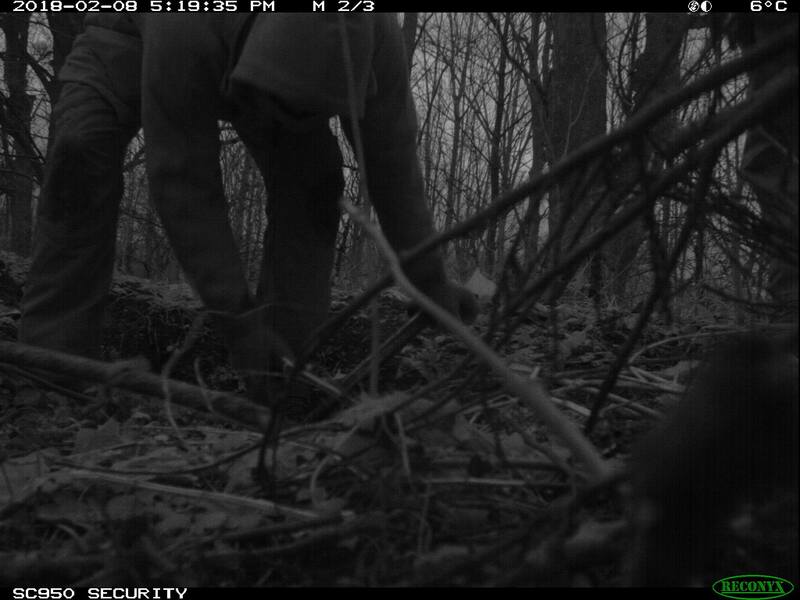 The area was sprayed and the hunt was seen leaving just afterwards. It could have been that the presence of sabs was enough to deter them at that time but they went back later and hunted a fox into an old shed. Sabs fearing the worst had to dodge terriermen Paul and Timmy but made it through in the end with some ninja moves to check for signs of a kill/stop any terrier work. Matt Ramsden gathered the pack with lightning speed and got out of there, no signs of blood on them. 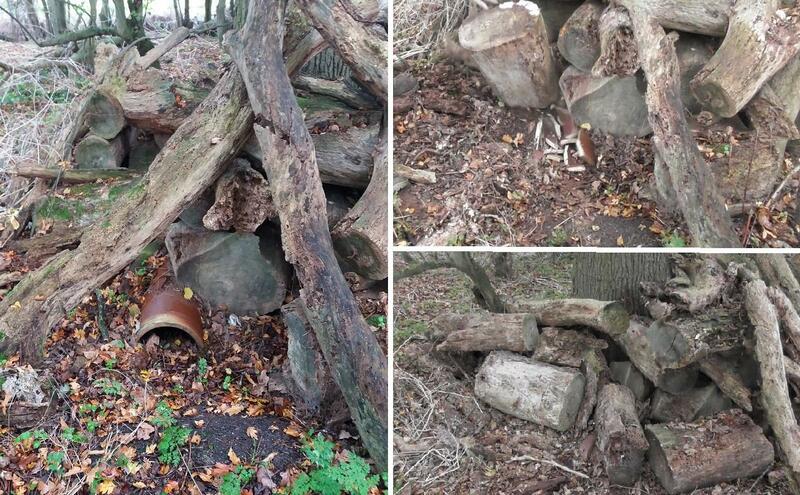 No signs of a kill, we hope that the fox found somewhere safe to hide. They left the area after some drama about trespassing. Lots more happened, we lifted hounds heads and rated them when necessary. They finished at the monument. Yesterday the Hethrop were at Great Barrington – sabs scrambled out and kept watch on them around Barrington Bushes late on in the day. Just in from a very long day! 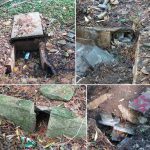 As can be seen from the hidden camera Ledbury sett blockers were out yesterday early evening filling in setts, masked up. None were seen on the early shift. 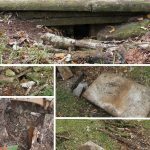 4 setts were found to be blocked, there will probably be more. They hunted around Queenshill to start with and then into the Stanks after 2nd horse. Showing off in front of their little chums from up north (there were about 100 of them) we had a few witticisms from Joint Master Edward Phillipson Stowe and then off to Birtsmorton. Things got silly then as they hunted a fox out of Birtsmorton Park. We rated the hounds off and successfully stopped them from going across the A438 in the dusk. This is when Peter Cooksie (a Ledbury stalwart) came from out of his box and encouraged them over said road, at dusk, in the rush hour!!! And he called us weird!! They lost that fox and as if to show off even more went into Berrow wood at 17.30 and found another one. Well it’s right next to the M50 so really clever… not. Anyway when sabs left they were still trying to gather the pack in the dark.